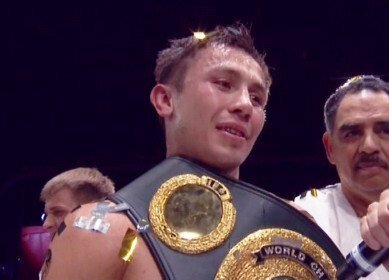 #9 IBF, #10 WBC, Curtis Stevens (24-3, 17 KO’s) is a strong possible opponent for WBA middleweight champion Gennady Golovkin’s next fight on November 2nd in New York, according to Steve Kim. Golovkin’s promoters at K2 are interested in matching him against Britain’s Martin Murray, but that fight likely won’t happen. If Murray can’t take the fight, then the 28-year-old Stevens could be the guy that faces Golovkin in a fight that will likely be televised by HBO unless they turn down the fight. Stevens will have to get past the hard hitting Saul Roman next month on August 3rd at the Mohegan Sun Casino in Uncasville, Connecticut. This is no sure thing win for Stevens, as Roman can really punch and he’s a live underdog in this fight. The 5’7” Stevens would be a big disadvantage against Golovkin in terms of size. However, he’s got respectable power and could give Golovkin some problem if he’s able to land his big shots. Stevens has come up short in the two fights where he’s stepped it up against quality opposition in losses to Andre Dirrell and Jesse Brinkley. The only thing you can say about this defeats is that they took place a long time ago when Stevens was campaigning as a super middleweight. Since moving down to the middleweight division earlier this year, Stevens has stopped Elvin Ayala and beaten Derrick Findley in impressive performances. Stevens is a lot more suited to the 160 lb. division than he was when he was fighting at 168. Golovkin would have the option of slugging with Stevens or trading power shots. I think it could be tough on Stevens either way Golovkin fights him. Stevens hasn’t been in with a puncher like Golovkin before, and it might be tough for him to suddenly be facing someone with the power that he has. While Stevens does seem to have a good chin, he would be dealing with a lot of hard body shots against Golovkin and that could prove to be a problem for him.